A wild start to the week in Big East play as No. 18 Villanova and No. 12 Marquette separated themselves from the rest of the pack, but teams three through 10 are separated by a game as another weekend of league play is on the horizon. Ty-Shon Alexander delivered in the clutch for the Bluejays with a game-high 26 points, highlighted by a go-ahead triple with 55.9 seconds left to snap a four-game losing streak. 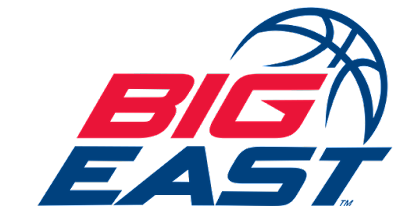 Creighton put together its most disciplined game to date this season with seven turnovers as it moved to 2-4 in Big East play and stand a game out of third place. Jessie Govan put together his seventh double-double of the season in defeat with 22 points and 12 rebounds, while Mac McClung and Josh LeBlanc added 10 points each for Georgetown. Luck had not been on the side of the Wildcats at Hinkle Fieldhouse with two straight losses, but flipped the script as they went on a 12-0 run in the second half to move to 6-0 in Big East play. Five Wildcat players finished in double figures scoring highlighted by Eric Paschall’s 23 points, on 8-of-16 shooting. Butler struggled to get to the foul line as it went 3-of-5. Aaron Thompson led the Bulldogs with 15 points. The Providence bench scored nearly half of its points as it eked out a two-point win at Xavier with Isaiah Jackson leading the way with 13. Alpha Diallo and Nate Watson continued their superb play with 11 points and six rebounds each. Paul Scruggs led the way for the Musketeers in defeat with 14 points. It was the Theo John show in Milwaukee as he filled the stat sheet with a career-high 16 points, to go along with 10 rebounds and six blocks. Reigning Big East Player of the Week Sam Hauser followed up on a 25-point performance against Providence with 19, on 6-of-11 from the field. The turning point came when DePaul led 16-12 at the 9:22 mark in the first half as a technical foul would be called on Jaylen Butz and then on the bench after Markus Howard made the first free throw. Howard made all four attempts and propelled Marquette to a 40-27 lead at the half. The Golden Eagles never looked back as they cruised to a sixth straight win in Big East play. Paul Reed scored 13 of his team-high 18 points for the Blue Demons in the loss. Butler (12-8, 3-4 BE) at Creighton (11-8, 2-4 BE), 8:30 p.m.
No. 12 Marquette (17-3, 6-1 BE) at Xavier (11-9, 3-4 BE), 2 p.m.
Seton Hall (12-7, 3-4 BE) at No. 18 Villanova (15-4, 6-0 BE), 2:30 p.m.